Peter J. Neumann, Sc.D., is Director of the Center for the Evaluation of Value and Risk in Health at the Institute for Clinical Research and Health Policy Studies at Tufts Medical Center, and Professor of Medicine at Tufts University School of Medicine. His research focuses on the use of comparative effectiveness research and cost-effectiveness analysis in health care decision making. He is the founder and director of the Cost-Effectiveness Registry, a comprehensive database of cost-effectiveness analyses in health care. Dr. Neumann has written widely on the role of clinical and economic evidence in pharmaceutical decision making and on regulatory and reimbursement issues in health care. He is the author or co-author of over 250 papers in the medical literature, the author of Using Cost-Effectiveness Analysis to Improve Health Care (Oxford University Press, 2005) and co-editor of Cost-Effectiveness in Health and Medicine, 2nd Edition (Oxford University Press, 2016). He is a member of the editorial advisory boards of Health Affairs and Value in Health and serves on many advisory boards, including advisory boards for the Congressional Budget Office and the Robert Wood Johnson Foundation. He received his ScD in Health Policy and Management from Harvard University. 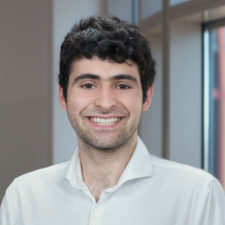 Joshua Cohen, PhD, is the Deputy Director and Chief Science Officer of the Center for the Evaluation of Value and Risk in Health at the Tufts Medical Center Institute for Clinical Research and Health Policy Studies, and a Research Associate Professor of Medicine at Tufts School of Medicine. 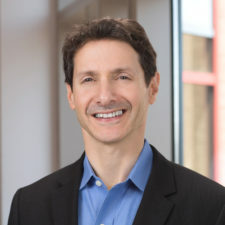 Dr. Cohen’s work focuses on the advent of “drug value frameworks”, with a special focus on the Institute for Clinical and Economic Review (ICER) framework, promotion of "open source" practices for health economic simulation models, and the potential benefits of risk-targeted disease screening. Dr. Cohen received both his PhD in Decision Sciences and his BA in Applied Mathematics from Harvard University. James is an investigator at CEVR, and an Associate Professor of Medicine at Tufts University School of Medicine. 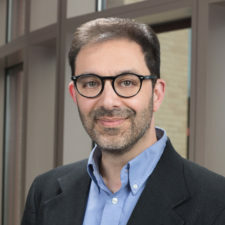 His research is focused on examining the factors that influence payer coverage of medical technology and quantifying pharmaceutical innovation. He graduated from Queens University in Belfast with an MPharm degree and previously worked as a pharmacist in the UK and Ireland. James also obtained an MSc from the University of York and PhD from Brunel University, both in Health Economics. Paige is an investigator at CEVR, and an Associate Professor of Medicine at Tufts University School of Medicine. Her research focuses on health and economic outcomes of individuals with chronic conditions such as Alzheimer’s disease, cancer and diabetes. 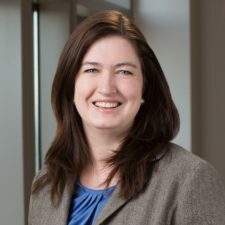 Paige received her PhD in Health Policy and Management from the University of North Carolina at Chapel Hill and her Masters in Health Policy and Management from the Harvard School of Public Health. Tara Lavelle is an assistant professor at the Center for the Evaluation of Value and Risk in Health. Her research measures family-centered outcomes and preferences for health care to inform value assessments and other health care policies. 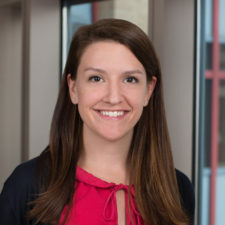 She received her PhD in Health Policy with a concentration in Decision Science from Harvard University in 2012 and was previously a postdoctoral research fellow in the Child Health Evaluation and Research Unit in the Division of General Pediatrics at the University of Michigan. Dan Ollendorf is Director of Value Measurement and Global Health Initiatives at CEVR and Assistant Professor of Medicine at Tufts University School of Medicine. Dr. Ollendorf’s research interests including expanding the use of health technology assessment (HTA) and economic evaluation in rapidly-growing economies, as well as refinement and use of value assessment tools in the US and other high-income settings. Prior to joining CEVR, Dan was Chief Scientific Officer for the Institute for Clinical and Economic Review (ICER) for over 10 years, where he oversaw the broader HTA process and managed relationships with multiple stakeholders and research collaborators. 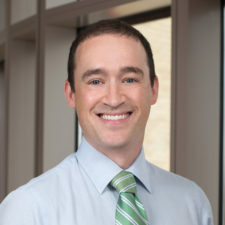 Dr. Ollendorf is a member of the Medicare Evidence Development and Coverage Advisory Committee (MEDCAC), and is in the incoming Chair of the Health Technology Assessment International (HTAi) Global Policy Forum. He received his PhD in Clinical Epidemiology from the University of Amsterdam, and an MPH in Health Policy & Management/Epidemiology from Boston University. Anna works to cultivate relationships with local life sciences and research investment communities while also developing and implementing communication strategies for CEVR. Previously Anna worked in management consulting and has leveraged her professional experience to serve as an adviser to health startups, pharmaceutical companies and other health organizations. She received her BA in Hospitality Administration from the University of Massachusetts, Amherst. Ari manages and maintains the Specialty Drug Evidence and Coverage database, and is also involved in CEVR’s global health initiative. 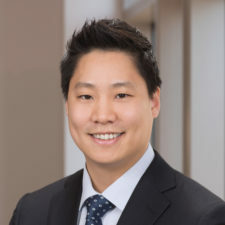 His research focuses on the variation in commercial payer coverage of specialty drugs and the evidence payers report reviewing in their coverage decisions. Ari graduated from Tufts University in 2017 with a BS in Community Health and Psychology. Brittany manages the data collection, data management, quality control, and day-to-day operations for both the CEA Registry and the Global Health CEA Registry. 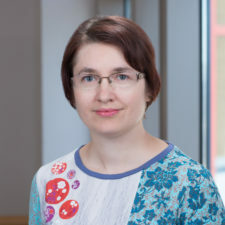 She is also involved in several projects at CEVR focused on patient values including developing a patient-centered value framework for major depressive disorder and examining how patient preferences are included in payer formulary development. Brittany graduated from Dickinson College with a BA in Psychology and is currently studying for her Master’s in Public Health at the University of Massachusetts, Amherst. Flora is a research assistant whose primary projects focus on developing a patient-centered U.S. value framework for major depression and investigating the cost effectiveness of whole exome sequencing for children with rare medical conditions. Flora graduated with a BA in Linguistics from Haverford College in 2014, and received an MPH from Tufts University School of Medicine in 2018. Julie is CEVR’s program manager and chief of staff. Her role involves managerial and administrative oversight for the Center's varied projects, grants and contracts, staffing, outreach, and fundraising initiatives. She received a BS in Biology from Simmons College, and a MS in Management and Research Administration from Emmanuel College. Kristen is the administrative assistant for the Center for the Evaluation of Value and Risk in Health. She provides general administrative support and office management tasks for the CEVR team. Her role consists of logistical support for multiple meetings, seminars, conferences and staff travel. Kristen received her BS at Anna Maria College and has three years of professional experience in the Healthcare industry. Madison’s research focuses on quantifying the value of clinical advancements and medical device innovation. She facilitates CEVR’s workshops on value frameworks, assists in maintaining CEVR’s cost-effectiveness databases, and tracks health policy related to prescription drug coverage and spending. Madison graduated from Tufts University in 2018 with a BA in Economics and Community Health. Natalia is a project director at CEVR. 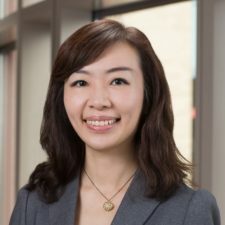 Her research includes decision modeling and analysis of clinical and economic outcomes, program and policy impact evaluations, understanding the role of risk and treatment effect heterogeneity analysis in population level decision making, and identifying opportunities for improvement of health system efficiency. She holds a MS in Operations Research from Columbia University, an SB from MIT, and she is currently a PhD candidate at Tufts University. Nikki manages the Medicare National Coverage Determinations database and assists in maintaining the Specialty Drug Evidence and Coverage database. Her primary research targets commercial payer coverage of specialty drugs and evaluates the pricing and budget impact of coverage decisions. Nikki graduated from Tufts University in 2018 with a BA in Economics. Rachel is the project manager for CEVR’s global health program activities. She manages the life-cycles for grant deliverables and activities and provides strategic oversight and support for future funding and global health project directions. 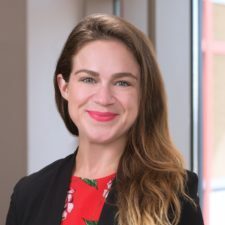 Rachel received her MPH from Boston University School of Public Health, and has worked both domestically and internationally on public health program design and evaluation, clinical quality improvement consulting and ambulatory business operations management. 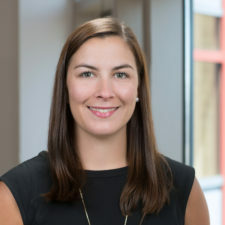 Snow completed her PhD in Health Services and Outcomes Research from West Virginia University, Department of Pharmaceutical Systems and Policy, School of Pharmacy, in 2018. In her doctoral dissertation, she evaluated the health outcomes of novel oral anticoagulants and impact of drug-drug interactions in patients with atrial fibrillation. At CEVR, Snow’s research focuses on cost-effectiveness studies for healthcare prioritization and resource allocation. We are a team of dedicated individuals who are passionate about measuring value in healthcare. We offer a unique working environment that values expertise and rewards individual contributions.